On AM radio in the Phoenix, Arizona, area you can listen to gospel music, sports radio, faith-based programming, and conservative and progressive talk shows in English and Spanish language, as well as stations playing stand up comedy, money and financial issues, and NPR from the University of Arizona. Below are listings and descriptions of many of the AM Radio Stations that you can listen to in Phoenix. Stations are listed in listed in order of the call number for the station. National and Arizona conservative political news talk shows including Mike Broomhead, Sean Hannity, Rush Limbaugh, Glenn Beck, Coast to Coast, and Dr. Bob Martin. Podcasts available; Part of the iHeartMedia Group. National news, traffic, and weather. En Familia affiliate in Spanish, KIDR is a Catholic religious news/talk station with some gospel and conjunto music programming. Gospel music and Christian programming, 24/7. Traditional, Contemporary, Smooth Gospel (Jazz), and Oldies. Fox sports affiliate, talk includes Clay Travis, Dan Patrick, The Herd with Colin Cowherd, Rich Eisen, The Drive with Jody Oehler, The Freaks with Kenny and Crash, Backspin, the Bo Show. Podcasts available, national news, traffic, and weather. Nicknamed "The Patriot," KKNT is a Conservative talk radio. HOsts include Hugh Hewitt, Mike Gallagher, Dennis Prager, Michael Medved, Seth and Chris, Mark Levin, and Larry Elder. "Family Values" radio, Christian programming includes Conexion Cristiana (in Spanish), Conversations with Cinthia, Doers of the Word, Bible Truths, Family Health Talk, Grace Upon Grace, Gospel Truth. NBC sports affiliates, includes live broadcasts of ASU women's basketball, baseball, men's college hoops, NFL, CFB. Nicknamed "Independent Talk," KFNX features local and national talk radio. Features Top Ten Talk Shows in the country, includes Don Imus, Laura Ingraham, Joe Walsh, Michael Savage, Lars Larson, Dan Koontz, Carol Blonder, Del Walmsley, and Alex Jones. "La Onda," Spanish language news, sports, and music based in Tolleson; Radio Fórmula programming from Mexico at night. Oldest radio station in Arizona, programming has gone through several changes over the past few years. Current programming is regional Mexican, news, sports, music. Hosts include Luis Trevino, Sergio Alejandro, and Oscar Gonzalez. Owned by iHeartMedia and branded as 93.7 El Patron. "Funny 1260 am," broadcasts stand up comedy, broadcasting from Apache Junction, AZ and owned by 1TV.com. Features guest comics; regular lineup includes Michael Yergin. "Immaculate Heart," Christian (Catholic) programming, faith-based programming for the Diocese of Phoenix. Regulars include Patrick Madrid, Father Matthew, Mother Miriam. Podcasts are available. "Faith Talk," Christian news, encouragement, faith talk includes James McDonald, Alistair Begg, Eric Metaxas, J. Vernon McGee, Dennis Rainey, David Jeremiah, Raul Ries. "La Mejor," Spanish language music, talk, news, and sports. Broadcasts the Arizona Diamondbacks play by play in Spanish as a Deportes MVS ​affiliate. Oldies from the 1960s and 1970s, Motown, Beatles, Elton John. Sister station to 92.7 FM. "Money Radio": Financial news: Jim Blasingame, Stu Taylor, Steve Jurich, Del Walmsley, Bucket Strategy, Ray Lucia, Investor's Edge, Clark Howard. 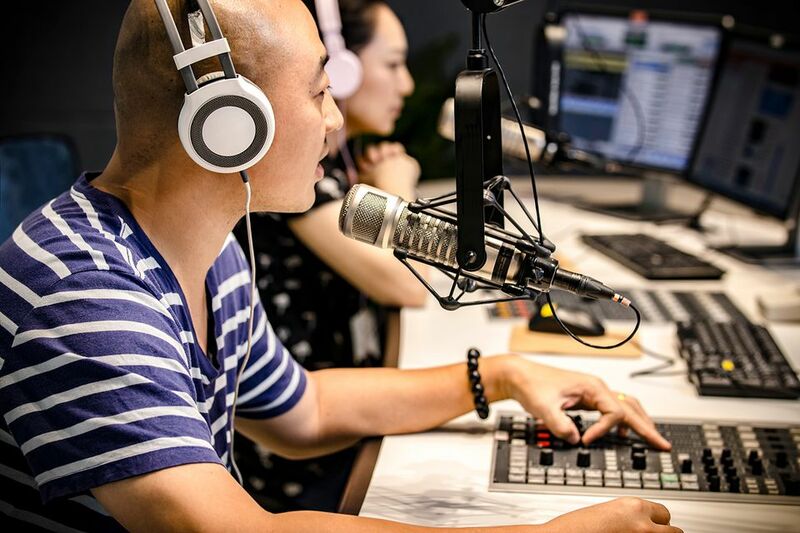 Public radio based at the University of Arizona: Morning Edition, BBC World, Here & Now, Marketplace; Arizona Spotlight, Arizona ​Science, ​and Business Report. "The Fanatic," sports news. Gio and Jones, Jim Rome, Matt Perrault, Ferrall on the Bench, Amy Lawrence, and Sean Salisbury.